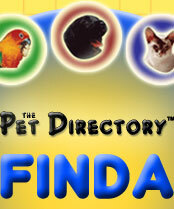 The Pet Directory FINDA - Search for PETS, PRODUCTS, SERVICES around the world! Click on the pet FINDA above to locate breeders, a pet shop or an aquarium or produce shop, a dog groomer, a veterinarian, dogs, cats, birds, reptiles, fish, guinea pigs, cavy, cavies, rabbits, mice, rats, hermit crabs, horses, miniature horses and ponies. Find donkeys, saddlers, farriers, cages and aviaries, repstile enclosures, pet accessories, pet products, pet services, dog off leash areas, pet events, pet articles, including dog article, lots of information about dogs. Find pet food, horse food, cat food, bird food, bird advice, dog advice, cat advice, reptile advice. Find dog shows, cat shows, horse shows, reptile events, dog clubs, cat clubs, bird clubs, horse clubs, miniature horse clubs, miniature ponies clubs, and much more. Locate your nearest pet suppliers in Australia - Sydney - Melbourne - Brisbane - Adelaide - Hobart - Darwin - Perth - Gold Coast - Cairns - Wollongong - Newcastle - Canberra and around the world including the UK - United Kingdom - the USA - United State of America - China - Japan - Indonesia - Taiwan - Austria - Germany and all the rest. dog groomers inner west Groomers Friend - BAWLEY POINT NSW Pro-Groomer Workshops have been designed to teach people the art of pet grooming and provide you with the necessary skills to groom a variety of breeds Dog Grooming School New South Wales 2539. dog groomer dog groomers dog grooming dog groomer dog dog groomer dog groomers dog grooming dog grooming equipment dog grooming supplies dog grooming salon. The Pet Directory or Pet Directory as dog breeders call it contains breeders of dogs, cats, birds, fish, guinea pigs, cavies, rats, mice, rabbits, ferrets, horses, mini horses or miniature horses, donkeys, cattle, sheep, goats, and pet products. In The Pet Directory you will find groomers, dog groomers, cat groomers, hydrobath, hydrobaths, mobile groomers, mobile hydrobath, hydro bath, vets, veterinarians, bird vets, avian vets, avian veterinarian, horse strappers, horse farriers, horse shoes, horse rugs, horse breakers and handlers, horse shows. 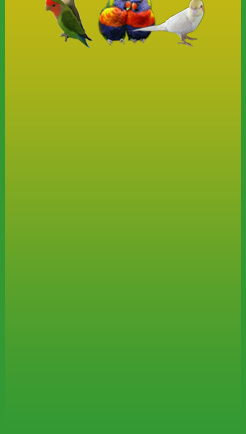 Eclectus dedicated community and forum. Echo's Haven is a self-supporting sanctuary for Macaws, whose goal it is to provide a free-flight atmoshpere for large Macaws to live out their lives in a natural environment where they can fly and live like birds. Shop at Echo's Haven Bird Supplies for the lowest prices on everything for your pet bird. Proceeds from the shop go towards the support of the rescue birds of Echo's Haven. My Cockatiel was created simply to share my love for cockatiels. You will find here information on cockatiel cages, cockatiel care, cockatiel diet, cockatiel names and more. This finch care website will guide you through different methods and techniques on caring for your finches as pet and will walk you through many finch ideas and methods, like how to buy the right kind of finch, how to breed your finches, keeping your finches in good health, how to set up your finch cage the right way, providing the right nutrition for your finches and keeping your finches healthy and beautiful. A group dedicated to the restoration of the wild Gouldian Finch through science, research and aviculture. LESS THAN 2500 GOULDIAN FINCHES REMAIN IN THE WILD... I guess you, like I, would be stunned to have just read that figure. Arguably one of the most stunning, iconic finches that is known the world over is on the edge of the abyss in oblivion in the wild. Years of environmental mismanagement and neglect have lead to this untenable situation. Please visit our website. A Web directory for the best bird sites organized by category. Add your bird site to this SEO friendly directory for birds. Information about caring for pet finches and other pet birds, bird news videos, and links to bird resources. A popular bird forum with great links to interesting bird information. A very friendly group. Covers all pet bird types as well as info on bird clubs, associations & societies. Visitors can read and can join to contribute. No spam arises from joining this site. Forum Owner - AussieBirds; Chief of Staff - Weagle; Administrator - Acacia Wattle, Vankarhi; Native Bird Rescue - SilverCloud; Global Moderators - Laraine, SilverCloud; Graphics Moderator - fuzzydragonfly; Lord of the Links - Robert. Australian Bird Information Site..............Wide range of subjects covering all facets of Avian Subjects & Birds breeds, with interactive advice from Respected and Experienced Aviculturists. Sales birds available-bird seed & products at very reasonable prices at our sales table & our members are happy to offer advice. budgerigars. Meeting with friendly group in this great hobby, members willing to help beginners, lovely birds available. *There are currently 514 people online.